FILE Mike Emrick, right, NBC's hockey announcer, greets Komets radio play-by-play announcer Bob Chase on the ice during a pregame celebration of Chase's 90th birthday in January. Samuel Hoffman | The Journal Gazette Bob Chase watches practice at Memorial Coliseum, preparing to call a game of the Komets, the team he covered for 63 seasons. While press boxes are normally off limits to fans, inevitably some would make their way up to the rafters of a Komets hockey game wanting to meet the legendary Bob Chase. Some had listened to him call games throughout their lives. Some of their parents and grandparents had, too, as he was one of the few real fixtures of minor-league hockey. And some of those fans had never before seen a Komets game but had grown to love the team because WOWO radio brought Chase’s voice to homes throughout the world before and after the creation of the internet. Chase, who called Komets games for 63 of their 65 seasons, died at 2:40 a.m. today at age 90 following a fight with congestive heart failure that had kept him from calling any games this season. Only the Los Angeles Dodgers’ Vin Scully had a longer tenure as professional sports announcer. Scully retired after this season, his 67th. "This is a very sad day in Komet history and Fort Wayne history. 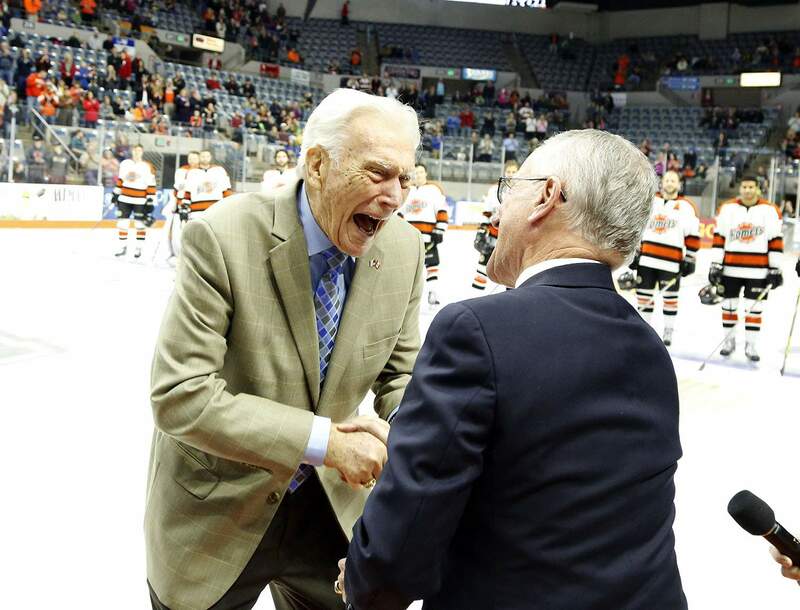 We have lost the John Wayne of Fort Wayne and the hockey broadcasting world," Komet general manager David Franke said. "We will never again hear his play-by-play call of Komet hockey or the wise and respected voice of WOWO radio. I will always be grateful for all I learned from Bob. He gave me the opportunity to work with the Komets during the 1988-89 season and his words of wisdom, support and guidance will always be with me. Bob Chase is a legend in every sense of the word and we will miss him dearly." Born Robert Wallenstein in Negaunee, Michigan, he had attended Northern Michigan University. In 1950 he married Muriel Chase, known to everyone in these parts as "Murph," and Bob took her maiden name as his after a WOWO station manager insisted Wallenstein was too long for broadcasting. "The operations manager said, `Where the hell did you get (Chase)?' I said, `Be careful, that's my wife's name,'" Chase said. "I didn't even consult her, but I made my father-in-law a lifetime ally because he had five girls." Bob and Murph celebrated their 65th anniversary in 2015. Having started calling Komets games at a time when there weren’t many well-known broadcasters of the sport, at least not in the U.S., Chase borrowed a bit from the legendary Foster Hewitt and Danny Gallivan, who were famous for their work with "Hockey Night in Canada." But Chase’s father, Gunnard, molded the voice of Radio Rinkside more than anyone. "My dad was my best and worst critic," Chase said. "He would listen to me and say, ‘Bucko, you didn't give the score too many times last night. I couldn't tell what was going on.' Or, he'd say, `You sounded good, you sounded like you, and I know who you are because you grew up in my family. And I like you being yourself.' That turned out to be my key, just trying to be me." Chase had been a talented hockey player and attended Graveraet High School before enlisting in the navy at 17. He was a World War II cryptographer stationed in Hawaii and aboard ships in the Pacific Ocean. After working briefly for WDMJ in Marquette, Michigan, Chase began his career at WOWO on July 1, 1953, as a disc jockey, but he was quickly thrust into sports with the Komets’ second season. He would go on to call nine championships and tell the stories of players like George Drysdale (the first captain), Len Thornson (considered the top minor-league player of all time), "Mr. Komet" Eddie Long, Bruce Boudreau (a current NHL coach), Steve Fletcher (the foremost enforcer) and Colin Chaulk (winner of five Cups). Chase worked at the WOWO studios for 56 years, retiring as their sports director in 2009 at age 83, but continuing to call Komets games. While Chase is known mostly for hockey, he called the famed Milan high-school basketball championship in 1954, the game on which the movie "Hoosiers" was based; broadcast Big Ten football from 1959 to 1971; covered the Indy 500 for 27 years; and interviewed celebrities such as Elvis Presley and Frank Sinatra. He spun records for afternoon shows and orchestrated "record hops," dances with upward of 1,000 kids at various locations in northeast Indiana. "This was pioneering stuff," said Chase, who was WOWO's marketing and promotions director for many years and spearheaded charitable endeavors like the Penny Pitch. "This is a guy who could have been an NHL hockey announcer or a network announcer, a national talent," said Mark DePrez, former general manager at WOWO. "He had opportunities to do that over the span of his career. Yet he opted to stay here so that his family could stay in this community, and there's very little ego there. He was content to be the big fish in the small pond." The jobs Chase shrugged off seem almost implausible now. WJR in Detroit offered him the Detroit Red Wings' radio job in 1963, but he didn't want to take the post away from friend Bruce Martyn. Chase might have become the voice of the St. Louis Blues in the 1960s but he missed the interview because he didn't want to renege on a WOWO work commitment. He was also considered for NHL jobs with the Washington Capitals, Boston Bruins, Minnesota North Stars and California Golden Seals. "Some people think it was bad (I never left), but in the end, it always ends up for the best," said Chase, whose four children were born in Fort Wayne. "You don't always understand it, but it works out." WOWO’s signal strength made it one of the most powerful stations in the world in the 1950s and 60s and American servicemen were able to hear broadcasts overseas. "When amateurs listened around the world on shortwave (radios), they'd verify the broadcast," Chase said. "There was a little piece of tape that came in (from Sweden) that said: 'We received your transmission. Please thank groovy bear for helping the broadcast.' We had no idea what that meant." It turned out the reference was to Drewry Beer, a sponsor on the WOWO broadcasts. Chase served as the Komets' general manager in 1989-90, when the team went 37-34-11 and was eliminated in the first round of the playoffs, but among his feats that year was bringing in former NHL defenseman Al Sims, who would go on to coach the Komets to five championships. After that season, David Welker moved the team to Albany, New York, but the Franke family saved hockey in Fort Wayne by purchasing the defunct Flint Spirits and the Komets’ name and logo, so an International Hockey League team could remain at the Coliseum. Having Chase remain behind the microphone was a no-brainer and his job was never in doubt until 1998, when he underwent quadruple heart bypass surgery and missed a playoff series against the Cleveland Lumberjacks. "I think I looked at my life a little differently because of the experience and feeling, ‘Wow, that was pretty close,’" said Chase, whose color commentator for home games for many years was Robbie Irons, one of the greatest goaltenders in franchise history. Chase recovered from heart surgery to call five more championships in the United, International and Central Hockey Leagues, and he didn’t start taking road games off until 2013, when Shane Albahrani began stepping in occasionally to shoulder the burden of the long bus rides. Mike Emrick, considered the voice of hockey in American because of his broadcasts for NBC Sports, grew up in Lafontaine and was mentored by Chase. Emrick would call games into a tape recorder and review them with Chase. Emrick and Chase got to call Komets games together in 2012 and in January at the Coliseum, fulfilling a decades-long dream for both. "To actually share a booth with your icon, it probably will sound dramatic, but it's like the two guys playing catch at the end of `Field of Dreams.' This was the guy I grew up listening to," said Emrick, who attended Manchester College and went on to win the Lester Patrick Trophy for contributions to hockey in the U.S., and the Hockey Hall of Fame's Foster Hewitt Memorial Award for outstanding contributions to broadcasting. Emrick has frequently talked about the Komets on NHL broadcasts and championed Chase’s contributions to hockey. He helped garner support for Chase to win the Lester Patrick Trophy himself in 2012. 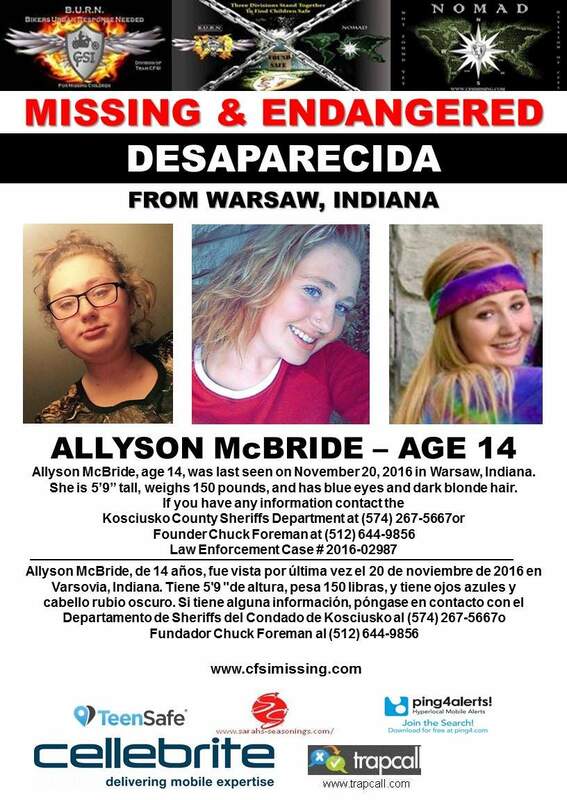 "He's a wonderful human being, who's very good to people," Emrick said. "He was to me as a college kid just trying to break in, sitting down in the corner section there on Wednesday nights (at the Coliseum) when I didn't bother anybody broadcasting a game into a tape recorder by myself. He was very patient with me because I was very anxious and excited about what I thought would be a career ahead. He kept me calm and that was not easy to do. So I'm forever beholden to him." If you listen closely to an Emrick broadcast, you can hear Chase. "Probably one of the things that I still use and fits, even though he does it on radio and I do television, is the call on breakaways," Emrick said. "Bob says, `He looks, shoots, scores.' ... On a play like that, you need to say something besides the player's name to build the excitement." Chase was presented many local, state and national honors, including the Sagamore of the Wabash; the Mad Anthonys’ Red Coat as Hoosier Celebrity of the Year; induction into the Indiana Sportswriters and Broadcasters Hall of Fame; induction into the Upper Peninsula (of Michigan) Sports Hall of Fame; and the "Key to the Fort," a hand-forged replica of the iron key that was at the fort in the days of Anthony Wayne, circa 1794. "It is my privilege to recognize Bob Chase for all that he has done for our great city," May. Tom Henry said at the 2013 presentation. "Bob's professionalism, character, humility and his love for his family and the Komets are all attributes that make him a unique and special man in our community." Chase is survived by his wife, Muriel, children Michael, Kurt, Karin and David, and many grandchildren. Arrangements are pending.